The cabin is now closed for the summerseson and will open the 1.of march 2019. It will then be open to the 22 of april 2019. Summerseson 2019 is from the 21.of june to the 6.of october. New! Guided summit hikes from Rondvassbu three days a week all summer - click here for leaflet! 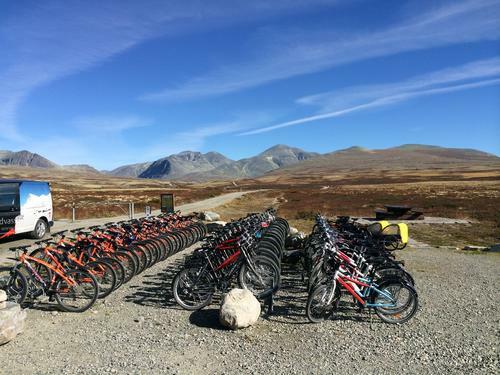 Rondvassbu is located in the middle of the Rondane National with tempting peaks in all directions. The lodge is located at the south end of Rondevatnet lake. Svartnuten peak towers behind the lodge, and behind it lie a string of peaks - Vinjeronden, Storronden and the highest of them all, Rondslottet (2178 m). Rondvassbu is the largest DNT lodge in Rondane. It was built in 1903 and bought by DNT in 1929. Since then, it has been expanded and remodelled several times. Take bus from Otta train station up to the parking lot at Spranget. The ferry Rondejenta takes you over the lake Rondvatnet. Rent a bike from the parking lot and cycle the 6 km in to Rondvassbu. Rondane offers many fine summit trips. 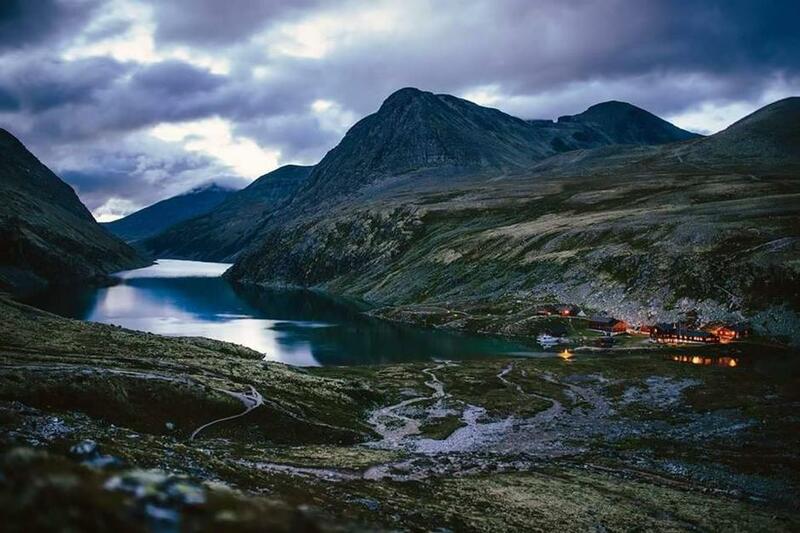 With Rondvassbu as a base, you can take day hikes to many 2000 metre peaks. 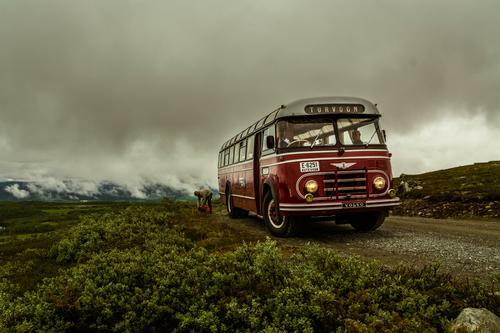 Moreover, Ronvassbu is a natural overnight stop on a round tour through Rondane. Facilities: The lodge has 128 bunks, in two-bunk and four-bunk rooms and a dormitory. All bunks have duvets and pillows with covers. Please use your own hut sack. You can also put the duvet aside and sleep in your own sleeping bag. Hut sacks and bedclothes also are available for rent at the reception desk. In the main building, there's hot and cold water, and the lodge has a diesel generator (220vVAC). Nonetheless, it's wise to have a torch in your pack, because the generator is turned off around 23.00 in the evening. Privies, showers and a drying room are located in a separate building. Ronvassbu has a serving licence for beer and wine. Seasons: Rondvassbu is staffed from the first weekend in march to atfter easter and in summer. In the off season during the rest of the year, it offers self-service lodging with 26 bunks, available by using the DNT cabin key. NOTE: Each year, both the staffed lodge and the self-service quarters are closed from 1 May to 10 June, the wild reindeer calving season. Extended stays of two days or more at midweek may be booked directly at the lodge in season In off season, contact the hosts to book stays. The lodge sometimes is overbooked. Nonetheless, all who arrive will have a place to sleep. Summer: Drive towards Otta city. About 500 meters south of Otta you take of the E6 towards Mysuseter. At Mysuseter drive towards the parking lot called Spranget. This is a toll road and cost 20,- NOK. From the parking lot Spranget to Rondvassbu its 6 km (about 1,5 h). 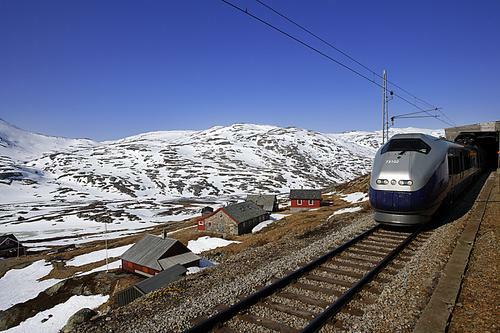 If you travel with train take the train to Otta and in the high season its bus from Otta to Spranget. You find link to the bus schedule for train and bus at the top of this page. If your traveling in the low season we recommend taxi from Otta. To order taxi please call +47 61 23 05 01 or maxitaxi +47 90 90 30 24. Winter access: By car, turn off E6 just south of Otta (Sel kommune) to Mysuseter, where you can park at Letruds Parkering (NOK 30 per day). from where from around 1 March through Easter, there's a 11 km staked route to the lodge. 1. The first two kilometers up Tjønnbakken are quite steep. The rest of the track is in easy terrain. The tour takes three to four hours, depending on your fitness and size of your pack. 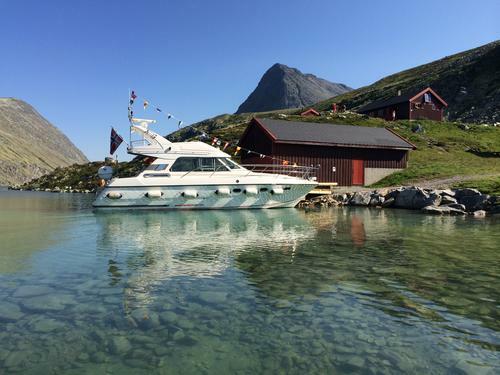 Thank you for visiting our web page, now we hope you will come visit us in Rondane Nationalpark and se the fantastic nature in combinations with good food and friendly people. Welcome.